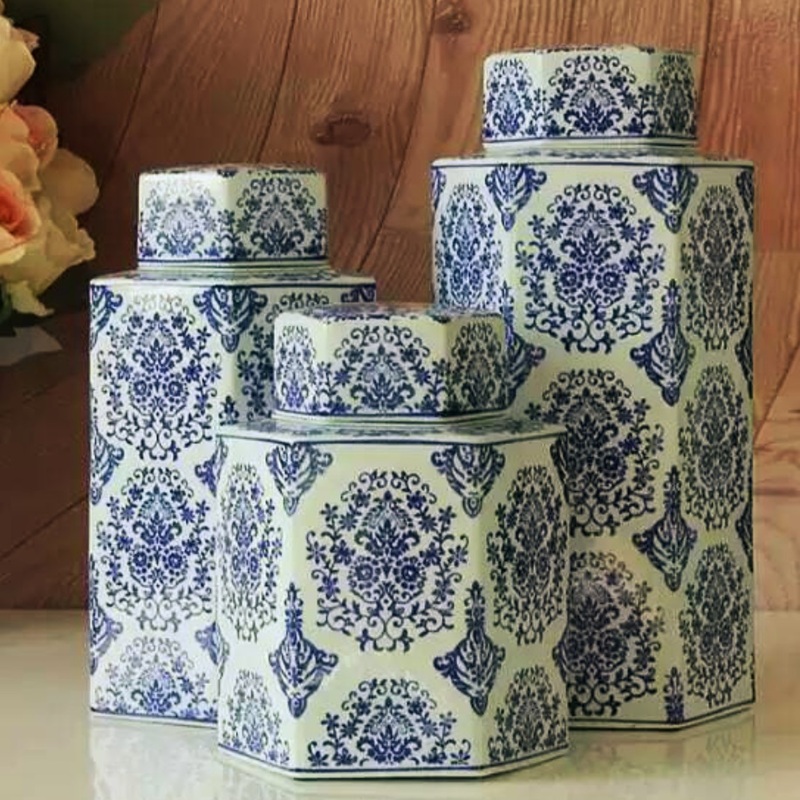 Hexagonal blue and white lidded container with damask motif. Our on-site workshop can transform these items into a decorative light fixture. Hexagonal Damask Lidded Container 7"Hexagonal Damask Lidded Container 11"Hexagonal Damask Lidded Container 15"